The Pine Tree State sits in the far northeastern corner of the United States, along the Canadian border. Well-named, the state tree representing Maine is the Eastern White Pine. Native to regions in Canada, the Great Lakes, and the Appalachia, the Eastern White Pine is a large conifer, sometimes reaching heights well over 200 feet. 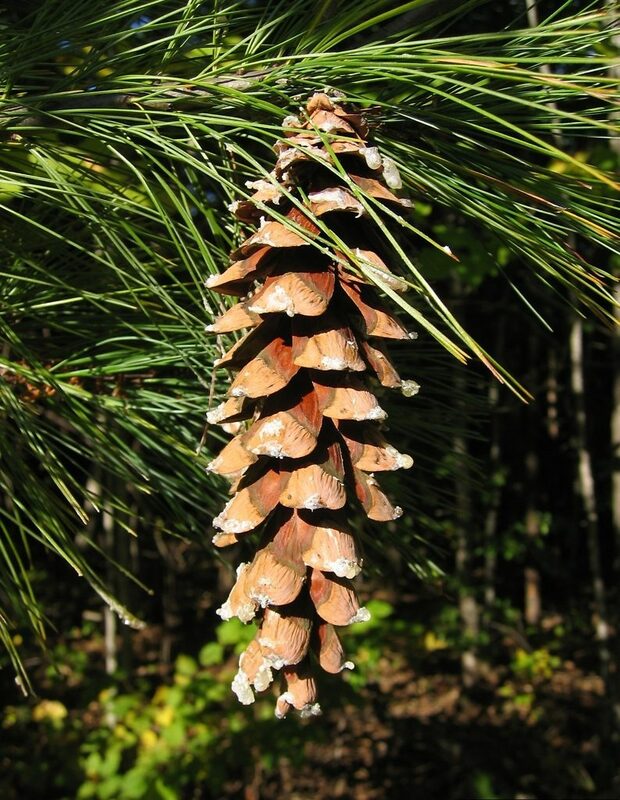 Similar to all white pines, the Eastern White Pine bundles its needles into groups of five and cones do not extend beyond 7 inches in length. Eastern White Pines are frequently aged at 250 years, but can easily live to well over 400. This tree may not match every Maine landowner’s desire, though; Maine has hundreds of varieties from which to choose when planting. Due to its geographical location, cold climate, and coastal regions, the smart Maine grower will need to consider the following items; climate, soil type, average precipitation, irrigation, growing zones and weather damage. Ideal for providing shade, sweeping beauty, and growth with minimal effort. New developments throughout the United States mean more infrastructure, more people, and more invasion of privacy. The residents of Maine have the option to plant and tend trees that produce privacy, turning away prying eyes and loud noises and instead enjoying the quiet and peace of private property. The Leyland Cypress is the perfect privacy tree for Maine inhabitants. The Leyland Cypress grows quickly, adds distinct charm, and produces thick barriers between a private abode and unwanted chatter. Growing between 3 and 5 feet a year, the Leyland Cypress will give the Maine yard the fast-growing privacy for which they have been searching. Alternatively, the Thuja Green Giant and American Holly will bring privacy, color, and solitude to the savvy planter’s yard. For a state nudging into Canada, it is surprising it does not get colder. Maine’s humid continental climate, characterized by hot, humid summers and cold, snowy winters, is affected both by mountains and oceans. Northern Maine often receives the heaviest winter storms and coldest weather, primarily due to its rise in elevation. Southern Maine’s weather is tempered by the Atlantic Ocean, which often produces milder winter temperatures, which can still reach quite low. Summers are warm, with day temperatures ranging from 75°F – 85°F and night temperatures reaching down to the high 50s. January is cold, with daily highs often sitting at freezing and dropping to well below zero. The record low was set in the north at -50°F. Most trees require well-drained soil rich with minerals to grow. Maine is gifted with rich pastureland and rolling hills, many of which are covered with Chesuncook soil. This spodsoil is deep, well-drained, and pervasive in temperate regions. Best-suited to lumber, oats, potatoes and barley also grow well in it. Regardless of the property’s location in The Pine Tree State, a soon-to-be tree planter can perform a simple test to determine his/her soil type. 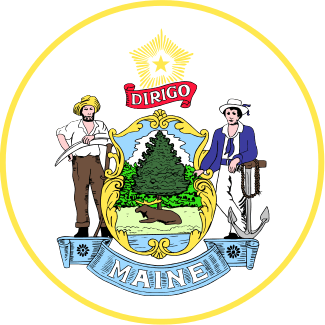 Maine receives high levels of annual rainfall. The average annual amount of rainfall across the entire state is 41.21 inches, with slightly more falling along the Atlantic Ocean. In the north, planters can expect approximately 35 inches of rain and in the south, 57 inches. Severe winter snow often affects northern regions of the state, with the weather sometimes affecting power and water systems. Rainfall may be abundant in Maine, but irrigation is still an important tool in the planter’s toolkit. Irrigation provides controlled and consistent access to water. Living in hilly pastureland will affect water drainage, and drip or sprinkler systems can help to distribute water more effectively. Newly planted trees require maintained access to water to ensure successful rooting and growth. Maine displays five unique growing zones. A growing zone simply refers to the USDA’s determination of areas where certain plants are most likely to thrive, preferring to focus on minimal temperature ranges in which a plant can survive. The zones fall in bands across the state, with the most northern regions experiencing temperatures as low as -35°F. In small areas along the Atlantic coast, temperatures rarely fall below -15°F. 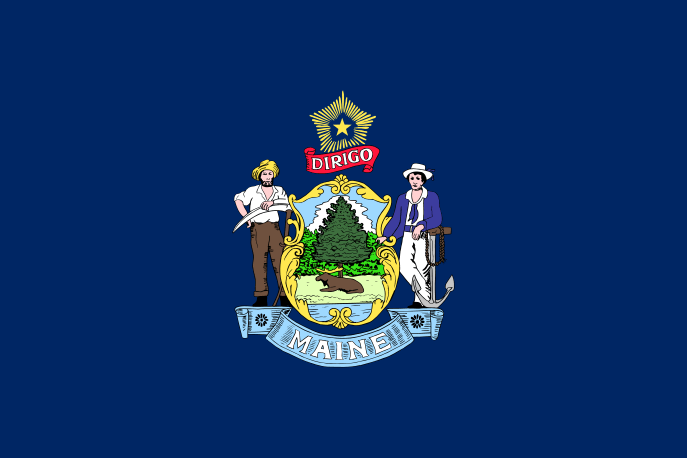 Damaging storms such as hurricanes, tornadoes, and even thunderstorms are infrequent in Maine. The state averages less than 20 thunderstorms a year, the lowest on the eastern side of the Rockies. Tornadoes are rare and occur less than twice a year. Hurricanes have traveled as far north as Maine along the coast, but typically only bring heavy rains and moderate winds. Flooding can occur, especially in low elevation regions. Trees can be beneficial as they can prevent erosion. Be sure to plant trees for this purpose away from powerlines. Heavy snow can cause limbs to fall, damaging both property and winter-living quality. If you prefer to purchase your trees or shrubs in person instead of online, we offer this comprehensive guide to purchasing a tree at your local Maine nursery or garden center. However, since we don’t actually live in Maine we can’t guarantee this list to be 100% accurate – but we did attempt to be as accurate as we possibly could. We have no affiliation with any of the businesses listed below and make no guarantees as to the businesses’ ability or the quality of trees you will receive. As with any purchase you make, be sure to check out the business with the Better Business Bureau, references, and any other sources you may have.